The latest release from The Stamp Market is making my polka-dot-loving-heart so very happy! 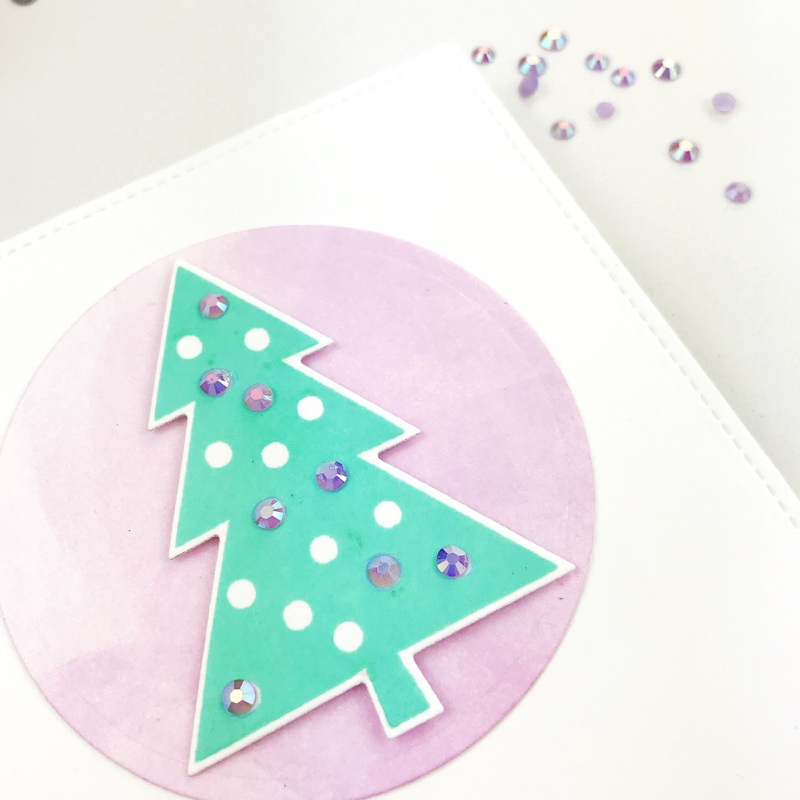 Truly I'm thrilled by the whole release but I had to start with the polka dot trees from the No Peeking set! Thanks so much for stopping by! Have a great day!!! So super cute! 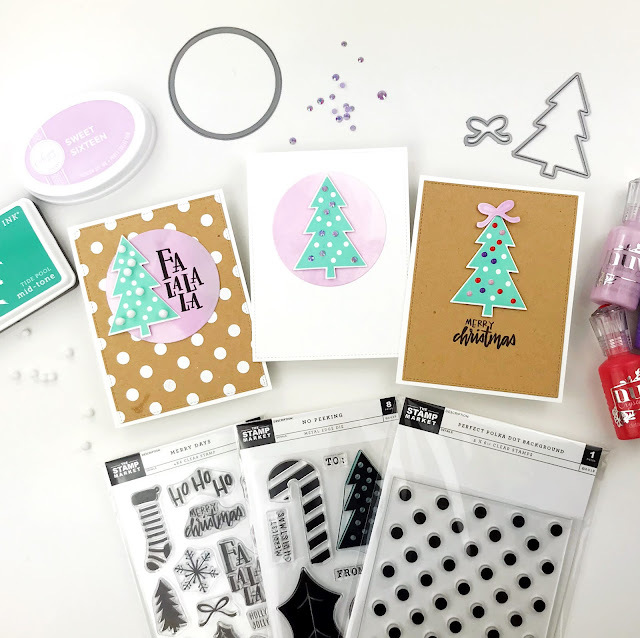 Loving the new products and especially all these polka dots!!! I LOVE polka dots as well! What great projects Carly! What super cute projects! I just am IN LOVE with all the polka dots! (Including the Nuvo Drops, my new OBSESSION!!!!!) LOL THank you for having me and I look forward to more of your projects! luvin' the classy polka dots! these are great creations! Love your Christmas cards. The colors are fabulous. I love your little trees! So cute and perfect for many different applications. The Pom poms are a wonderful idea, I never would have thought of that! 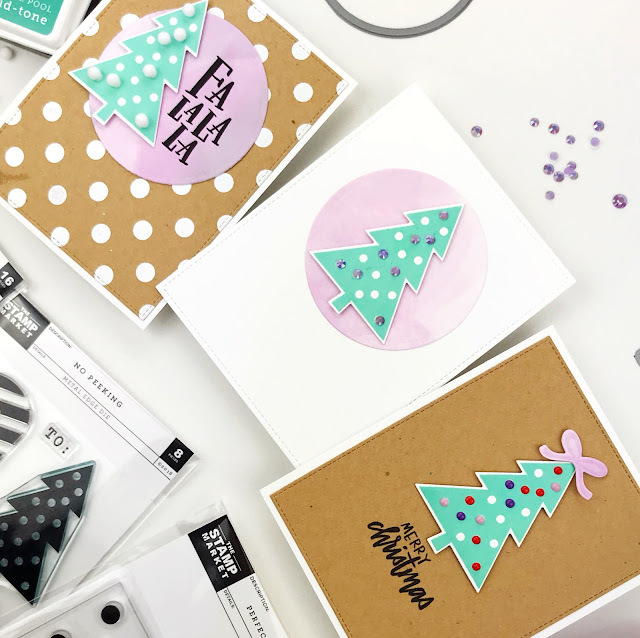 Your polka dot tree cards are a delight! Very fun! 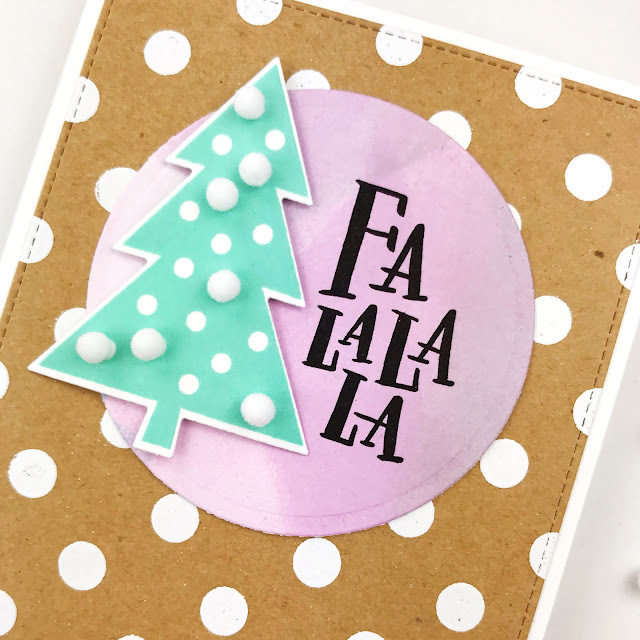 Your cards are so cute-from the colors you used to the stuff you put on the trees! So fun!